AIRstream provides all type of flight information (arrivals, departures, check-in counters, baggage claim belts, etc) to passengers, visitors, airport operators and other consumers across the terminal. 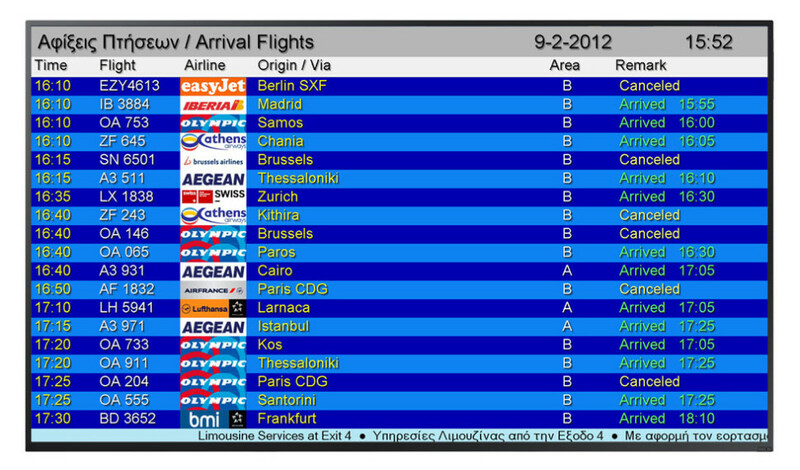 Through integration with flight information systems and automated data feed, passengers stay informed and on the move. 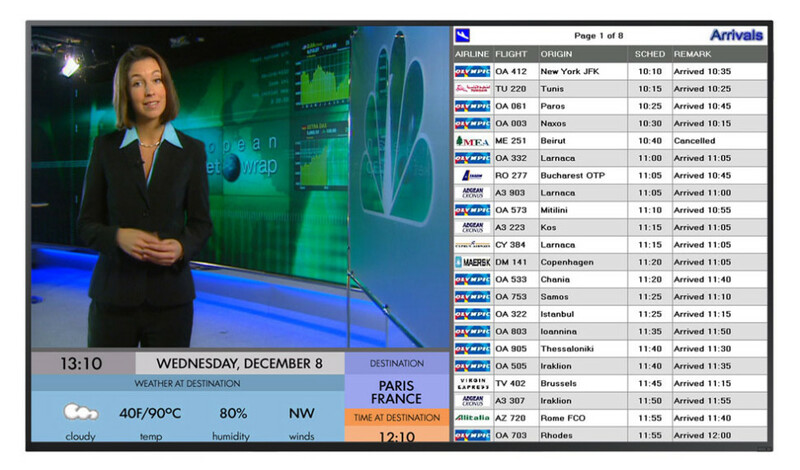 Enhance passengers’ waiting time before departure gates and allow airline operators to define the content displayed on monitors (or cluster of monitors), with promotional messages, destination related information, weather info and many more. AIRstream Signage is the most powerful way to publish information and promote services and facilities within the terminal. Airports and their partners now have a new sales window to create new selling opportunities. 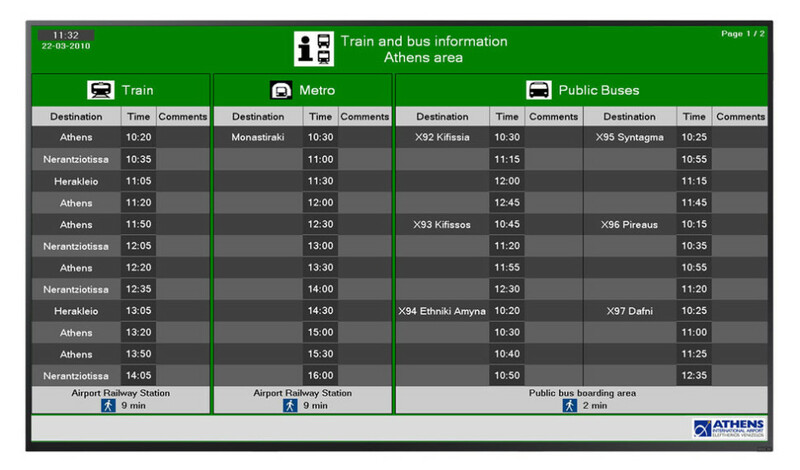 Help passengers to easily find public transportation schedules for railway, metro or bus. TV over IP or Internet Protocol Television (IPTV) represents today the most efficient way of distributing TV signals. AIRstream offers multi-screen IPTV solutions for all screens (TV, Monitors, Mobile Devices) and is agnostic to distribution infrastructures (Cable, IP, OTT or Hybrid).